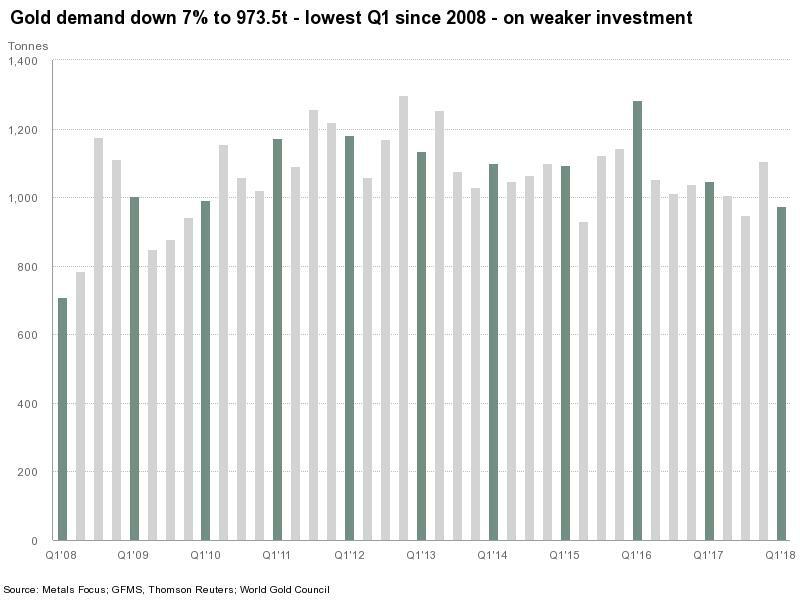 Global demand for gold dropped between January and March, becoming the weakest first quarter since the 2008 financial crisis, a situation experts attribute to an improved economic outlook and to rising interest rates, which led investors to seek greater returns elsewhere. According to the latest report by the World Gold Council (WGC), a trade group, Worldwide demand for gold totalled 973.5 tonnes in the first quarter of 2018, a 7% drop when compared to the same period last year. Global demand for the metal dropped so much between January and March that the period became the weakest first quarter since the 2008 financial crisis. The weak demand for the precious metal also coincided with prices holding within their narrowest range of any quarter in more than a decade. The WGC blamed the fall on a 15% dip in investment in gold bars to 254.9 tonnes, as investors in the US, China and Germany held off from buying the yellow metal. “Relatively solid global economic growth, coupled with the return of volatility in the capital markets in February, created a stable environment for gold in (the first quarter),” Alistair Hewitt, head of market intelligence at WGC, said in a statement. Bars and coins demand fell 15% year-on-year, reinforcing that retail investment continues to struggle, though demand from the jewellery sector was flat and mostly helped by Chinese consumers. 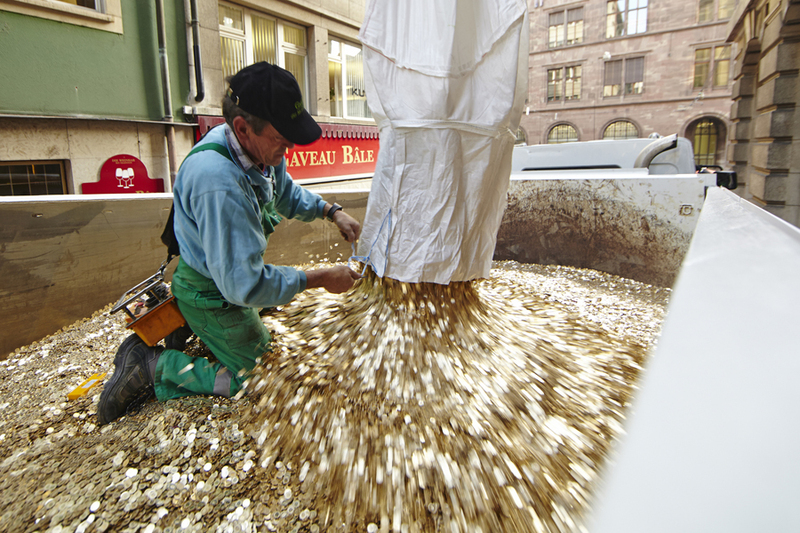 With 32.4t of net inflows, demand from gold-backed exchange traded funds (ETFs) was down two-thirds when compared to the same quarter last year, but experts predict a swift recovery. “We expect Q2 demand to be better, with April showing consistent ETF inflows as geopolitical risk rose, while we expect increasing expectations of inflation given that oil rises will see a degree of recovery in retail investment,” Colin Hamilton, director of commodities research at BMO Capital Markets, wrote in a note to investors. Demand from central banks remained strong, as they added 116.5 tonnes of gold to their reserves, up 42% from a year earlier — the highest first-quarter total for four years. The biggest buyers were Russia, Turkey and Kazakhstan, the WGC said. Gold used in technology industries saw growth for the sixth straight quarter. The wireless sector was a key area of growth as 3D sensors for facial recognition were increasingly used in smartphones, gaming consoles and security systems.